Career Accelerator is an education business supported by experts in education, digital, social enterprise and investment fields. Founder and CEO Mayur began his career in social enterprise aged 19 when he set up an international housing business in Nepal. He then worked in Kenya and Dubai after University before joining the Year Here Fellowship. As part of Year Here, he worked as a staff member at a secondary school in South London where he saw first hand how influential career support is in determining students’ post-18 prospects. Patricia Hamzahee is an expert at helping social enterprises attract private capital and guiding investors through the complexities of responsible finance. She has 20+ years of career success as a strategic communications specialist, both in-house and as a consultant, in understanding how the interests of corporate, financial, political and societal audiences intersect to compete and cooperate. Matt has been Principal of Ark Globe Academy (an all-through academy) since May 2012. In his first full year as Principal the academy achieved it’s best ever outcomes for children in all Key Stages. Matt is a graduate from the Future Leaders programme and remains committed to closing the achievement gap in education and raising standards for all, especially those threatened by urban deprivation and poverty. In 2012 Matt joined the Future Leaders Board of Trustees and has recently chaired an all-party parliamentary group on developing character in secondary school students. 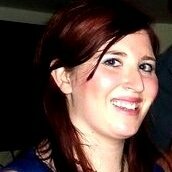 Rosie is an Emerging Technologies specialist helping organisations innovate for worthwhile purposes. She has worked and volunteered across a wide range of organisations (including Oxfam, Crisis and Alzheimer’s Society, alongside 6 years in RBS). At RBS she designed and implemented a global department to lead on bank-wide technology innovation and improvement initiatives. 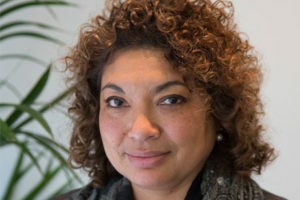 Rosie set up ALYS Innovation where she is responsible for working with businesses, charities, educators and civil society to shape future strategy for worthwhile innovation. 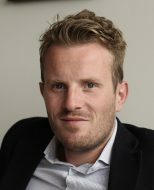 As Director of Impact Investment at ClearlySo Europe’s leading Impact Investment Bank, Mike works with management teams, private investors, and institutional investors to structure and secure values-aligned investment capital for businesses that have a positive impact on society and the environment. 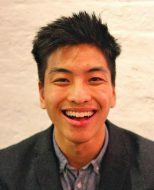 Jack is the CEO and Founder of Year Here – a postgraduate course in social innovation based in London. He was named one of Nesta and The Observer’s 50 New Radicals. Before founding Year Here, Jack worked at the Young Foundation, a centre for social innovation. 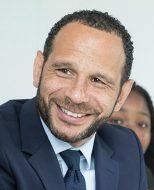 He has a background in youth leadership, having run Leonard Cheshire Disability’s international internship scheme, adapted the Faking It TV series into an intensive employability programme for unemployed East Londoners and worked as Head of Operations of an HIV/AIDS NGO in Zambia. 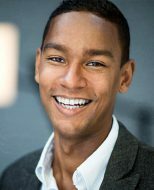 Robin is the Founder and CEO of CoachBright – an education business which widens university access for high potential pupils by pairing them up with the best university and graduate coaches. Through 1-1 coaching, their pupils improve their prospects of entering top universities in 3 ways: grades, confidence and expectations. Robin has also held successful roles as the Development Officer at Year Here and as a Producer and Reporter at the BBC. "By providing the right career support to make informed choices about their futures, Career Accelerator helps young people currently under-represented within the technology sector to prepare for success." "Mayur's ability to encourage and guide new recruits made every team member feel valued all the while knowing how strongly supported they were by him. His kind and caring attitude towards everyone creates the ideal team environment for projects to progress and flourish under his leadership." Thank you to the the following networks who have helped me set up and scale Career Accelerator.